This is one of the recipes I made yesterday at my first cooking class, Vegetarian Spanish Tapas. I adopted it from a meat recipe in a book my step-mom gave me that I would assume she bought in Spain because all the measurements were metric. Skillfully overcoming that challenge with the internet, I managed to create a simple, yet tasty dish with vegetarian meatballs that actually held together well. 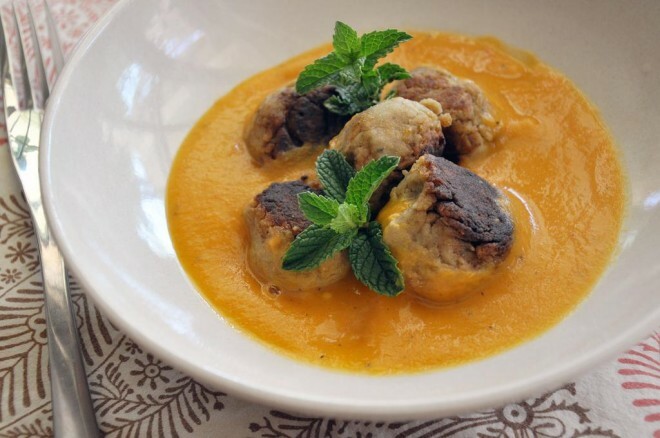 I have seen vegetarian meatballs in the freezer section and I wouldn't hold it against you if you cheated with these, but I have to say these are pretty easy to make as long as you don't mind a bit of a mess in handling the meatball mixture and rolling them into balls. Salud! 1 1/2 Tbsp EVOO For the sauce:1. 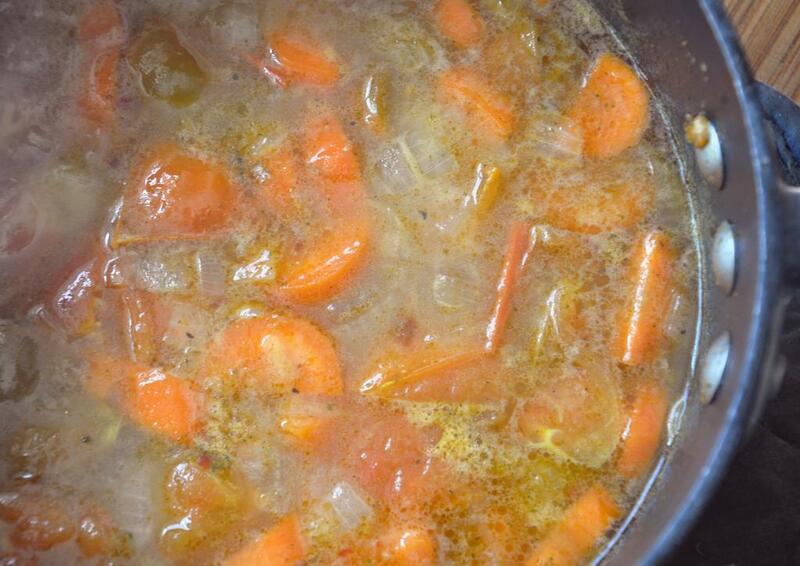 Fry onion, garlic and carrot in EVOO over medium heat until soft, about 5-8 minutes. Add the tomato, seasonings and flour. Let flour toast 1-2 minutes. Add stock, raise heat and bring to a boil. Then simmer over low heat for 30 minutes. Puree the sauce in a food processor and keep warm. For the “meatballs”:1. 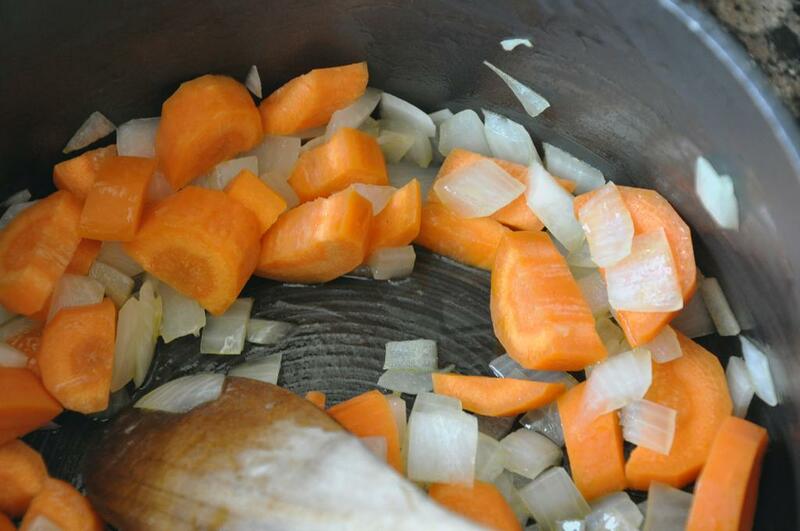 While the sauce is simmering, puree all the ingredients except the flour and EVOO in a food processor. Heat 1/2 Tbsp EVOO in a large skillet over medium heat. 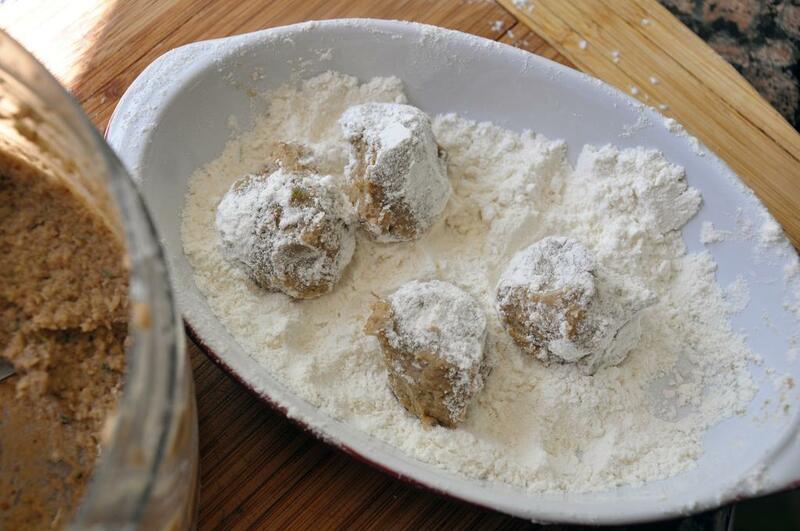 Measure one Tbsp of meatball dough, form balls, dredge in flour and fry until browned. Drain on paper towel. Repeat until all meatballs are browned.